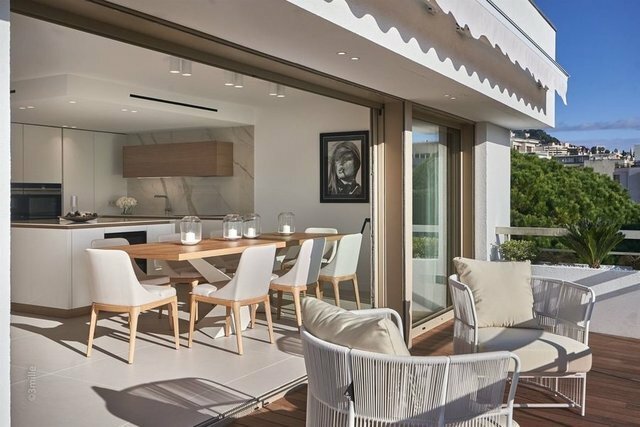 Located in a short stroll from the Croisette and beaches, this magnificient totaly renovated with high fittings 4 bedrooms apartment with open view offers 165 sqm of living space. Large living room giving onto the south facing large terrace, 4 ensuite bedrooms with bathrooms and dressings. 2 Terraces. Garage and cellar.